I wonder why they didn't reach out to James Monroe Iglehart, who plays the genie on Broadway. How much name recognition would he bring to the film? I don't know. He would definitely attract those who loved the play (like myself). But I don't think it's all about name recognition sometimes. 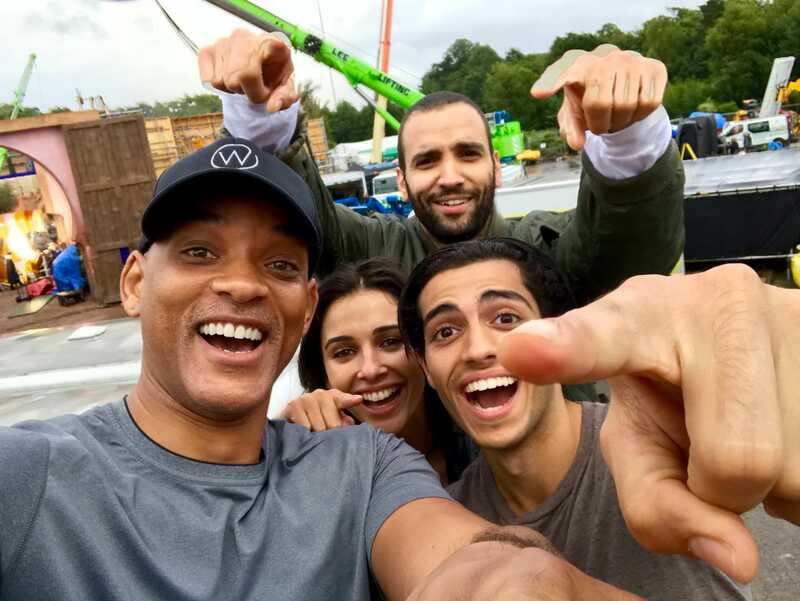 Will Smith? Kevin Hart? This is becoming a train wreck. Too tame. Cast Rebel Wilson but have Katt Williams dub over her voice. I don't know about this. As much as I thought Beauty and the Beast Live Action was really good and Dan Stevens and Josh Gad were fantastic still it did not compare to the original animated version for me. This however no matter what it turns out to be I will always have Robin Williams voice in my head of the Genie and his songs. He is the Genie. I know it is wrong not to give another a chance, but to me he just nailed it with the job he did in that film. I gave Emma Watson a chance as Belle and I think she did a very good job. Did I think she knock it out of the park like Josh Gad, no but she did the part justice. It will be 100 times harder with whoever plays The Genie for me. This is coming up way sooner than I remembered! First teaser trailer tomorrow! You beat me to the punch dude. I got chills with the music I know these live action films are easy money and all that but gosh do they work sometimes. The art of trailers has changed. They are now almost as important as the film and release date itself, and now you get teasers and then increasingly revealing trailers, rather than one or two similar trailers that run for six months or so before the film. I suspect the teaser dropped because of ComicCon. Everyone and their brother is searching the net for trailers right now (Even Outlander S4 dropped a trailer at ComicCon), so it's when you set the hook. And the teaser/build up for the SW movies recently have been better than the actual films. And the music is fantastic.